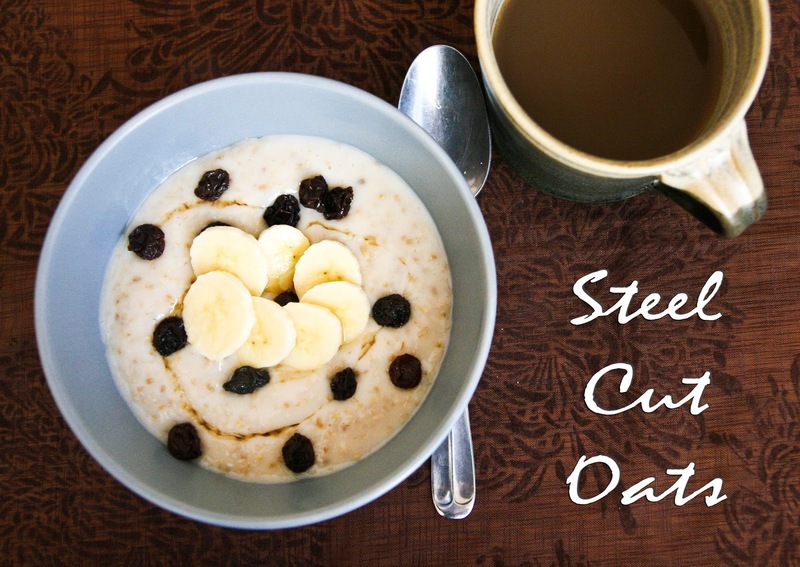 Andy's parents love to make steel cut oats. The first time I ever had them was at his parents house. They made the oats and then set a table full of toppings. We each added our own toppings and sweeteners depending on our tastes. It was such a fun thing to do for a family breakfast! Steel cut oats are a great hearty (not to mention healthy) breakfast that will keep you going for hours. They taste like regular oats, but are a bit more chewy. I think this is due to them not being as processed as regular oats. More raw-yes! 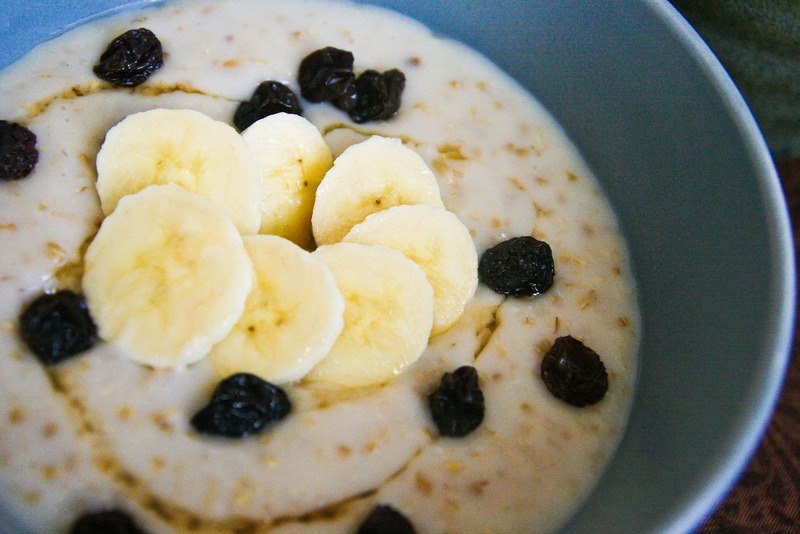 Here's a simple recipe that Andy and I follow for making our oats. They are a bit timely to make, but totally worth it. Especially if you have fun toppings for the finished product. Bring the 3 cups of water to boil in a pot. Once boiling, add the steel cut oats and a pinch of salt. Stir everything together and then turn the heat down to a simmer. 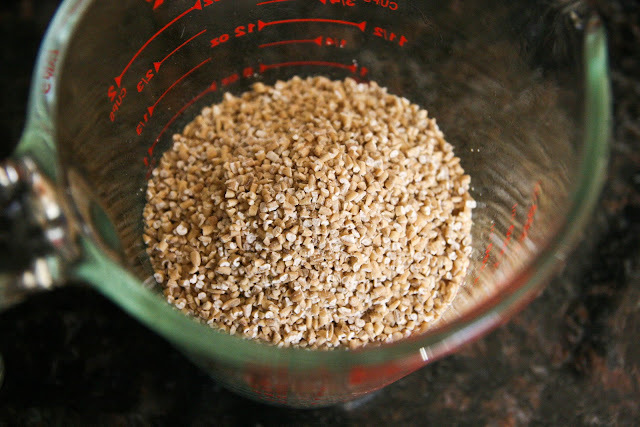 Allow oats to simmer for 25 minutes with the top of the pot OFF and without stirring. After 25 minutes stir in 1 cup of milk and allow it to cook for another 10 minutes. Add brown sugar, honey, or maple syrup for sweetener and then top the oats off with fruit and nuts, or whatever your tastes desire. The night before (yes, planning ahead is involved) you boil 3/4 the called for amount of water. 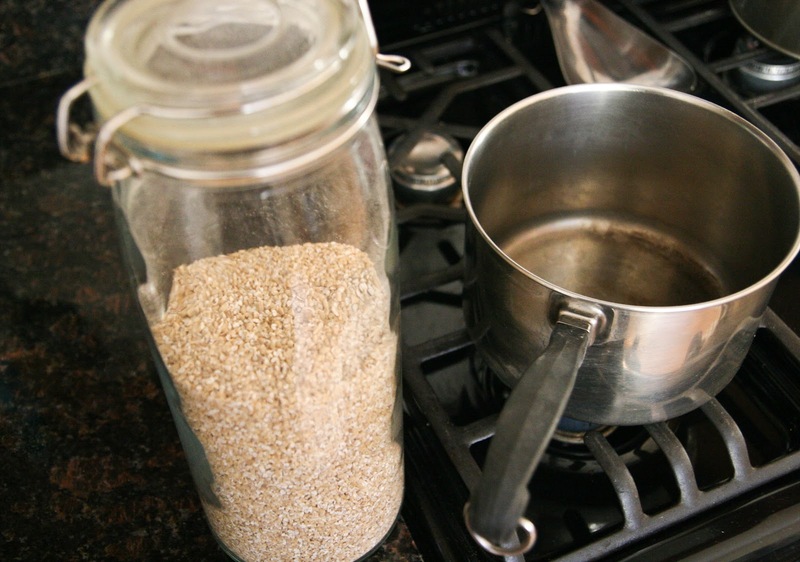 When it's boiling, remove the pot from the stove, add the oats and cover the pot overnight. The next morning, add the remaining water, bring the pot to a boil, cook 5 minutes, remove from heat and let it sit 5 minutes.